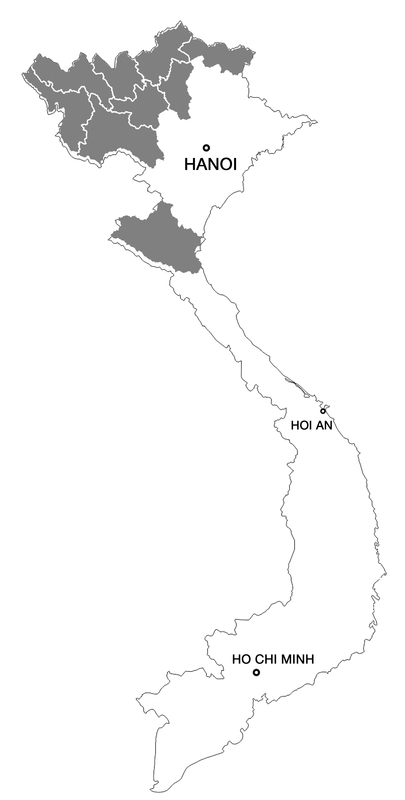 The Flower H’Mông is a subgroup of the H’Mông ethnic group. They are named for their brightly-colored traditional costumes, and when you see these costumes, it’s easy to understand why. A lot of their cultural history can actually be found in the intricate symbolic textiles and patterns they produce. The costume, filled with so much detail, take up to 6 months to complete and is considered to be so precious that they are family heirlooms. However, influenced by the recent influx of tourists and the emergence of advanced technologies, the H’Mông now print the skirts on polyester, while they were stitched so far. A mass production that allows, thanks to the saving in money and time, to sell them now around 60 000 VND on the local markets, even if the costume loses a bit in authenticity. Still it remains as one of the most beautiful you will have the opportunity to see. 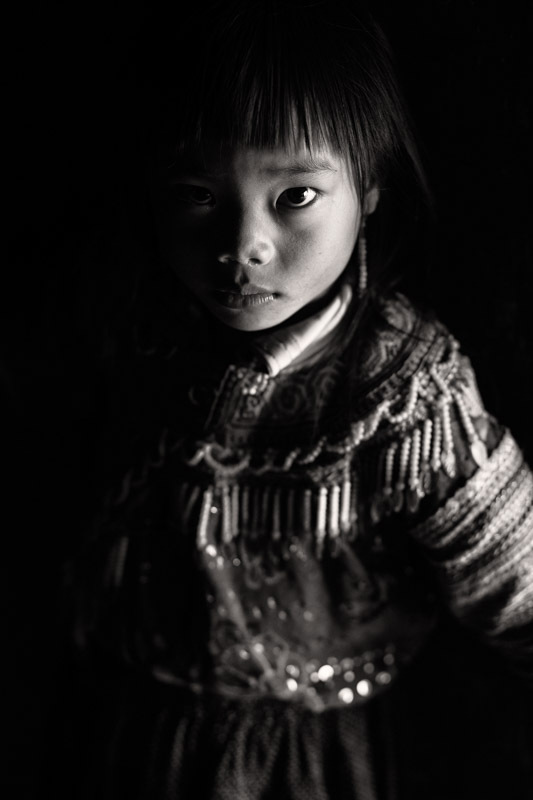 When I met this little girl, in a village near Xín Mần, she was eating rice with other children, sweetly sitting by themselves. The contrast of on this photo was produced only by natural light.